Last time we told you the 5 things NOT to do when link building, so this week we are passing on our knowledge of how you can use natural link building techniques to improve your business website’s search engine ranking positions. Organising organic links may seem like a lot of effort but once you reap the benefits you’ll see that all that work was worth it! You can build natural links by encouraging other sites to link to your wonderful content. There is no magical way of doing this, though being able to create superb content is crucial. If you write worthy material then external sites will naturally (there’s that word again!) want to be associated with your magnificent article or blog. If you create well-written and engaging pieces, and connect them with the right audience, you will have people queuing around the block to publish your content on their own websites, and they’ll all add in that special little backlink that’s going to improve your site’s standing in the listings. Although the backlink is the little gem in all of this, this sort of link building can also drive traffic to your website. If somebody reads the blog you wrote and thinks ‘This is great! I wonder who wrote this, I’d really like to know more’, they’ll click through to your website. They could be an unsuspecting potential client or customer, and if they are really impressed, they are more than likely going to share this content on multiple social media sites. More exposure means more traffic, which ultimately means Google and the other major search engines are inclined to rank you higher. God bless social media! This can be an effective and relatively effortless way to link build, so how do you get the ball rolling? By brown-nosing, of course! Get in contact with an expert and say how they are ‘established in their field and you would love to know what their opinion on X and Y is’ I guarantee that they will be flattered, and be more than happy to pass on their expert opinion. If anybody tells you flattery doesn’t work, pay them a compliment and see them open up to your way of thinking and watch the irony unfold in front of your eyes. Once you have this expert’s opinion on a particular topic, write it up into an engaging piece of content, publish this on your own website, then share it with the person you interviewed. As if by magic, they will share it too, exposing this engaging content to all of their hundreds or thousands of followers and friends. Who’d have thought that massaging someone’s ego could benefit you so much? Sponsoring has been an effective marketing strategy for years. It’s a timeless technique that can enhance any business and with everything being online nowadays it’s just another successful way to gain natural links. Not only does it create brand awareness, but the people you are sponsoring will add a link back from their website to yours, and will often mention your company in their Tweets and posts, which again can generate more traffic to your website. At brand level, volunteering gives off the impression that company is caring and philanthropic. People love a hero, so if you or someone that represents your company volunteers for a charity or to helps out at an event, organisers are normally more than happy to mention you (and the company you are representing) on their site. This will then gain you that natural link that you so desire. It may seem like a lot of effort to go through just to gain a few links but you’re also extending a friendly hand out to your local community, which in turn will help you network. When people know who you are and like you, they are more than likely going to recommend you; even though many people turn to the web when researching a company that meets their needs, you can’t beat the odd word of mouth recommendation. A referral is a direct endorsement of what you have to offer! 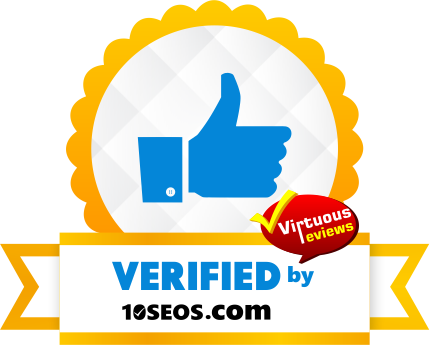 Links from these kinds of sites tend to be a lot more powerful than if they’re coming from .com or .co.uk because Google understands that websites from the government, charities and educational institutes are well trusted sites. If these organisations trust you enough to link back to you, then so should Google. It is in your company’s interests to help out a local school, or give up Sundays to walk the dogs in the local RSPCA shelters – not only will you gain respect and standing in your local area, you’ll also have the opportunity to acquire a high quality link from a powerful domain! Don’t go charging in like a bull in a china shop asking for links here there and everywhere. The key to establishing long-term link building relationships is, perhaps surprisingly, common courtesy. Always ask what you can do for your link partner first. See if you can help promote something of theirs and link to them on your site (this is what’s called reciprocal linking – despite what many SEOs may tell you, when it’s done correctly and organically, it can bring a great deal of power to your link profile). Once you have helped them out they will be more inclined to assist you with anything that you may need help with. So now you know our top 5 organic link building techniques, get out there this weekend and start giving your search engine presence a much-needed boost! You’ll be helping out other people and improving your company’s image at the same time!